If today was any indication of what Spring will be like this year…well, in one word: Glorious. A perfect Saturday greeted our guests who are staying with us this first weekend of Spring! 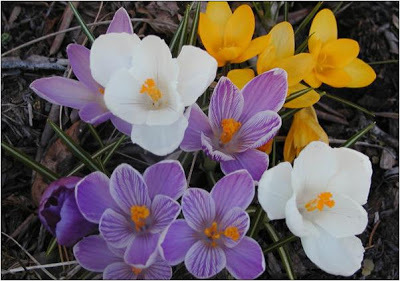 The sun was shining, the birds were singing, we opened the windows at the Inn on Mill Creek to fresh mountain breezes and took some photos of our crocuses, which have never failed to give us a colorful Spring introduction. More photos can be found on our B&B Facebook page. Stay tuned to our blog as we highlight all the various events and activities going on in the Asheville, Black Mountain and Old Fort areas and beyond. The mountains are coming alive over the next three months, and we hope you’ll be able to join us as we welcome Spring to our neck of the woods.